Bernhard Horwitz was a chess player, one of the Berlin Pleiades. However, his main contribution to this history of chess was his analytical achievements in problems and studies. Josef Kling and Bernhard Horwitz's "Chess Studies" (1851) is a fundamental work on the endgame study. Gerard Bouma composes in all genres with just as much success. In 1983 he wrote in collaboration with Max Niemeijer a 43-page brochure "Op zoek naar harmonie: schaakproblemen van Gerard Johan Bouma"and a selection of Hans Burbach's problems "Hans Burbach - Schaakproblemist". The battery checks and interferences by the wR enable the mate at next move on the field occupied by the black Rook. 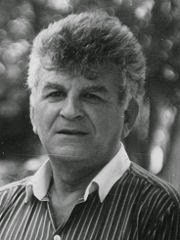 Iosif Krikheli became famous thanks to his helpmates and moremovers and won the 15th USSR composition championship in 1984. Yuri Akobia's article about Iosif Kricheli in Mat Plus Review 12, Winter 2009, can be read here and is definitely a must-read, as well as the obituary "In memory of a colleague" by IM Velimir I. Kalandadze in EG 98. Unpin, selfpin and line opening in echo. Velimir Kalandadze is a study endgame composer and also an International Judge for studies. He is renowned as a specialist of Rook endings. One can read with interest his articles in EG: "Ten of the world's best studies, through the eyes of a composer (and a Computer!)" written in collaboration with John Roycroft in EG 63, Feb.1981) or "Local and global study ideas or 'topographical range of logical manoeuvres" in EG 80, May 1985. 1. Sc3 Rh5+ 2. f5 !! 26...Kh5 27. Kf5 positional draw. 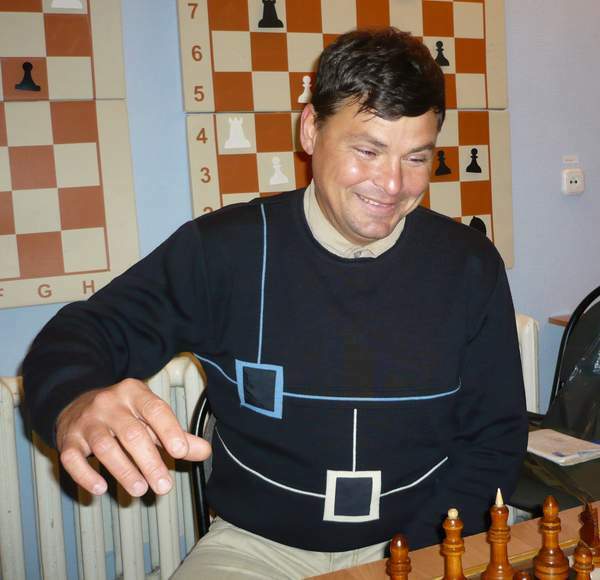 Sergey Abramenko is chess trainer and direct mate composer with about 200 problems and 50 studies already composed, according to this page in Russian. The diagonal-orthogonal correspondence between the two variations is perfect.